Chelsea's last remaining flea market, the Antiques Garage, was supposed to close late this fall, pushed out by a developer who wanted to turn its spot on W. 25th between Sixth and Seventh Avenues into a hotel. But that was before the economy tanked. 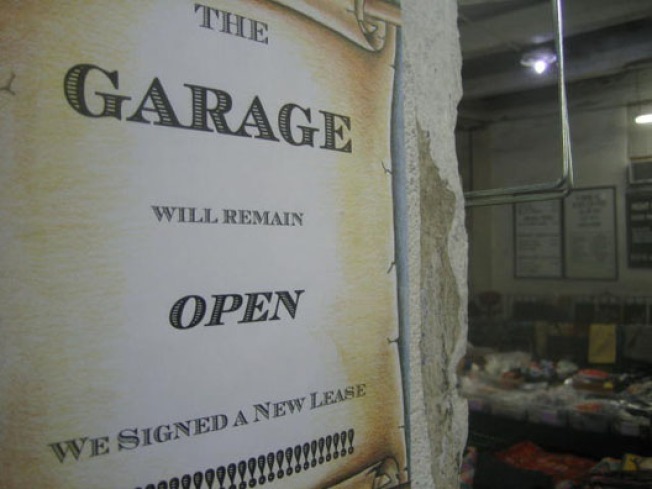 Now, Jeremiah's Vanishing New York brings news that the Garage just signed a new lease. A vendor at the market explained, "It's a month-to-month lease, but I expect we'll be here another year or two. The developer can't get a hotel license. There are too many hotels around here as it is."